It’s that time of year again when we all need to get back on track and start to get focused. But with all of the many distractions online that can prove difficult. Here are five applications that can help. The Pomodoro Technique is a productivity method in which you break down tasks into 25 minute sessions or pomodori during which you work solely on that task and then take a 3-5 minute break once the time period is complete. Following 4 pomodori a longer break of 15-30 minutes is taken. 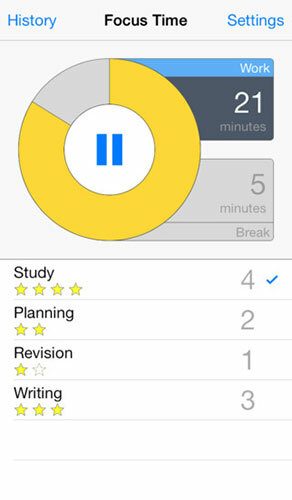 The FocusTime app supports those using the Pomodoro Technique through timers and graphs of progress and completed work. 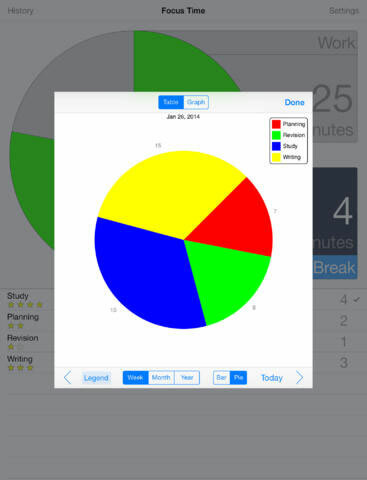 This time management app runs discreetly in the background and tracks the time you spend on websites and in applications on your computer. You can set alarms to let you know when you’ve spent a certain amount of time on an activity, and then run detailed reports and data based on your activity. You can even block distracting websites for specific periods of time, necessitating that you focus on the job at hand. SelfControl is a free and open-source software application for Mac OS X (10.5 or above) that lets you block your own access to distracting websites, your email, or any other diverting destinations on the Internet. You simply set up your own blacklist of websites, set a timer and press Start. Once the timer has begun, you will be unable to access those websites on your blacklist even if you restart your computer or delete the application. Cold Turkey is a free, open source software application which will temporarily block you from social media sites, addicting websites, games, and even programs! You can schedule to block yourself in intervals of a half an hour for up to a full week. The blocking features are computer-wide, which will affect all users and browsers on the computer. This focused application blocks you from the Internet for up to eight hours at a time. 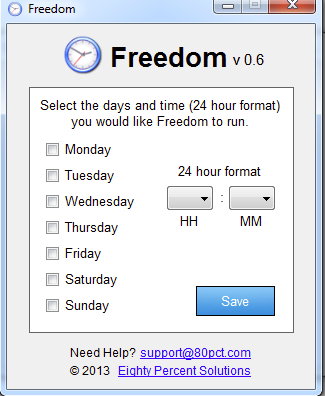 At the end of your time offline, Freedom allows you back on the Web. This is a unique app in that it only does one thing, it blocks your access to the internet. If you find that you are just distracted by social media websites, you might try their other product, Anti-Social which simply blocks social networking websites such as Facebook and Twitter.